Two employees at the East Lake County Library created a fictional patron called Chuck Finley -- entering fake driver's license and address details into the library system -- and then used the account to check out 2,361 books over nine months in 2016, in order to trick the system into believing that the books they loved were being circulated to the library's patrons, thus rescuing the books from automated purges of low-popularity titles. Library branch supervisor George Dore was suspended for his role in the episode; he said that he was trying to game the algorithm because he knew that these books would come back into vogue and that his library would have to spend extra money re-purchasing them later. He said that other libraries were doing the same thing. This is datification at its worst: as Cennydd Bowles writes, the pretense that the data can tell you what to optimize as well as how to optimize it makes systems incoherent -- it's the big data version of "teaching to the test." 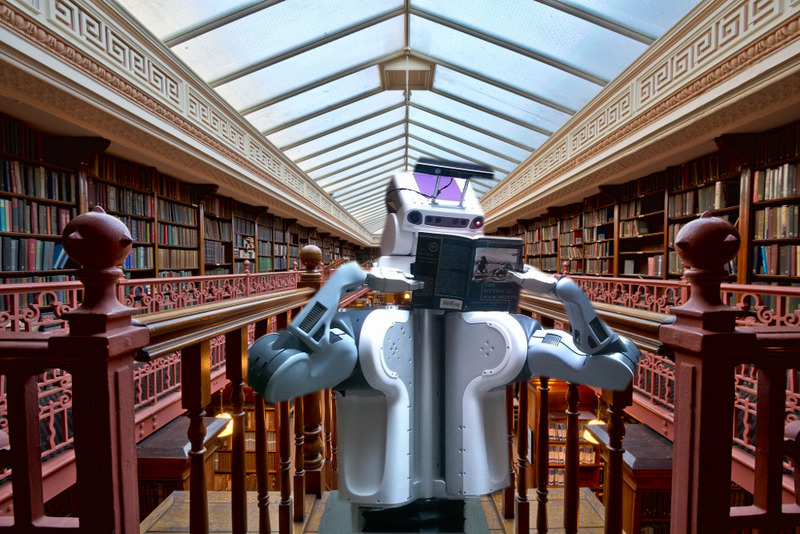 The library wants to be efficient at stocking books its patrons will enjoy, so it deploys software to measure popularity, and raises the outcomes of those measurements over the judgment of the skilled professionals who acquire and recommend books, who work with patrons every day. Instead of being a tool, the data becomes a straightjacket: in order to get the system to admit the professional judgment of librarians, the librarians have to manufacture data to put their thumbs on its scales. The point of the library becomes moving books by volume (which is only one of the several purposes of a library), and "the internal framing of users shifts. Employees start to see their users not as raison d’être but as subjects, as means to hit targets. People become masses, and in the vacuum of values and vision, unethical design is the natural result. Anything that moves the needle is fair game: no one is willing to argue with data." Software is not objective. The designers of the library's software made a subjective decision to take the measurements they are taking, and to respond to them in the way they are responding to them. The librarians who'd use the software are treated as adversaries, not allies -- they are there to be controlled by the software, not informed by it. Just like the nurses who assign junior staffers to hit the spacebar at 10 second intervals to keep their terminals from re-prompting them for a password, the librarians who could not override the software by executive edict resorted to chicanery to get their jobs done. That's the important takeaway here: these librarians didn't monkeywrench their software for personal gain. They did it because they wanted to make the system better, to teach it how to weight the circulation data to reflect the on-the-ground intelligence and historical perspective they had on their libraries, their collections and their patrons. Science fiction has grappled with this exact problem in the past: Connie Willis's 20-year-old classic novella Bellwether features a patron (a social scientist who specializes in fads!) who goes to the library every week to check out titles that she knows to be out of vogue, but significant, to trick the library systems into retaining them. The problem here isn't the collection of data: it's the blind adherence to data over human judgment, the use of data as a shackle rather than a tool. As the article in the Orlando Sentinel hints, this is because "money wars" have made enemies out of the city and its librarians -- and as this episode highlights, there is no good way to proceed amidst that enmity. Just as treating teachers as lazy welfare bums who must be measured with standardized tests has lowered educational standards and driven out the best teachers, so will any other system that treats employees as problems rather than solutions engender a continuous, spiraling arms race that will never solve the problem. Dore and library assistant Scott Amey created “Chuck Finley” simply to save certain books from being ditched at the library, according to Dore and inspector’s general’s notes. Records show that dozens of books were checked out and then checked back in again all in the same hour. The fictional Chuck Finley was named after “a ballplayer,” according to the inspector’s notes. Chuck Finley is a retired major league baseball pitcher who played mostly for the California and Los Angeles Angels during a 17-year career. Dore said in interviews with the inspector general’s office that it was happening elsewhere but didn’t provide specifics.